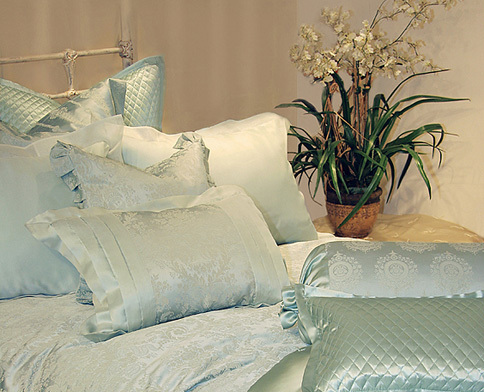 Fino Lino began with a vision to create fine linens that would become treasured family heirlooms. Bridging the gap between the traditional and the modern, the focus would be to create a product of exquisite luxury, full of lush colors and textures, crafted with excellence with strict attention to the most intricate details for those with the most discriminating tastes. Every home is as different as the personalities that inhabit them. Therefore we offer the most extensive collection of custom linens and fabrics available. Our on-site design workroom is capable of constructing the most challenging of designs, from supple silk charmeuse duvets and silky smooth cotton sheeting to crisp linen tablecloths and runners. With this as our doctrine, Fino Lino has grown to the forefront of custom linens and has established itself as the definitive brand in luxury linens and home textiles. Founded two decades ago, Fino Lino continues to expand its product line offering the most exclusive luxury linens from Italy to the Far East for your home, hotel, or resort.